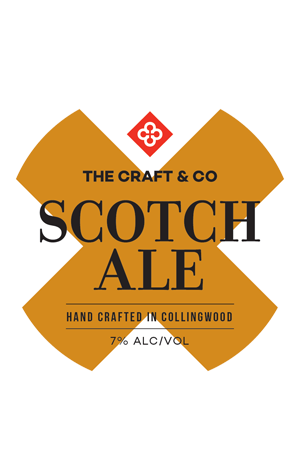 For its 2017 winter seasonal, The Craft & Co brewers have steered clear of the darker choices like porters and stouts and instead focused their attention on the humble Scotch ale. The beer originally designed to warm the spirits of the Scottish doesn’t quite get the same amount of love from Australian brewers in winter as its British stablemates. Yet, at 7 percent ABV, this Scotch Ale packs more than enough of enough of a punch to warm a winter’s evening. Pouring a deep red brown with a fluffy, slightly off white head, the beer quickly shows off its aromas of toffee and brown sugar. Flavour wise, it balances dark caramel with cocoa and molasses, while, as it warms, rich fruit flavours of dates and raisins begin to develop in what's a balanced affair with a soft bitterness and a dry finish.